Its 3am in the morning and it’s fair to say hand-picked lunch packs consisting of energy related items came into great use so early on into the shift…….! Uniform, Staff Handbooks, Radios and Equipment were all evenly distributed to staff prior to them receiving their cascaded briefing which were delivered by our Management Team! The pre-site meetings attended by our Senior Staff and information received certainly came into use when delivering these briefings and ultimately gave the staff the best preparation possible prior to carrying out their duties! Over and above this Staff completed an online Induction which also assisted in providing them with Key information relating to the event! A total of 26,270 riders completed this amazing event which was also complemented by the thousands of public who braved the windy and rainy conditions to come out and support the riders in their quest to complete the unique course all for great causes! 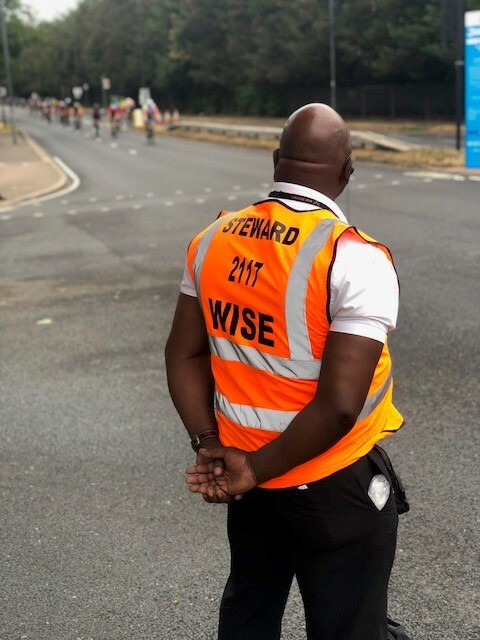 Given the success of our Service delivery in 2017 we were delighted to have taken on an additional leg of the course in Richmond Park which brought about different challenges such as provided personnel to be on the look out for any straying deer’s / wildlife! We are pleased to say that this newly formed roles went very well and is a service we can add to our CV……… ‘Deer Stewards’! Overall the event was a total success and we very much look forward to embarking on preparations for 2019!